THE MATCHMAKER based on the novella “Letters of a County Matchmaker” by JOHN B. KEANE, one of Ireland’s most celebrated writers, returns to the Town Hall Theatre, Westport on Saturday, October 6th at 8pm. The production stars television favourite Mary McEvoy, best known for her role as Biddy, in the long running RTE series “Glenroe” and Irish actor and comedian Jon Kenny, who was part of the Irish comic duo “d’Unbelievables” with Pat Shortt. Together they play a myriad of characters in this hilarious and earthy dramatic comedy, which has been touring the national circuit and playing to sellout audiences nationwide. This will be the duo's second visit to Westport, after performing The Matchmaker back in June 2016 and subsequently returning in June 2017 with another box office hit, "The Successful TD" and both McEvoy and Kenny are delighted to be returning to Westport. 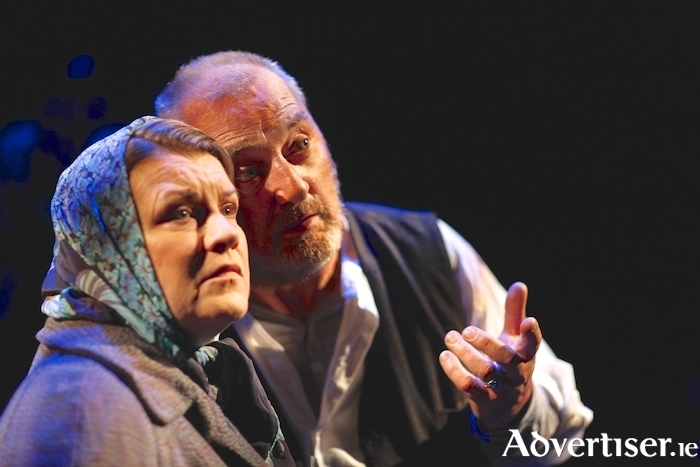 The play follows the efforts of Dicky Mick Dicky O Connor, to make matches for the lonely and lovelorn. Keane, an avid observer of people, cultures and the Irish psyche, uses The Matchmaker as an exploration into rural loneliness. The story draws on the theme of generations of Irish people becoming masters of their own destinies later in life, as they finally begin to look for companionship and love, when their duties as minders of aging parents conclude, or they find themselves with some inheritance to share or decide they are ready to move on from being the left over brother or sister. Using his inimitable way with words and his own sense of “devilment” and wit, Keane delves into the longings, hungers, fears and foibles of a collection of lonely country people and creates a marvellous, colourful world, taking the audience back to a simpler time when phones were few and far between and the only web was one left behind by spiders.